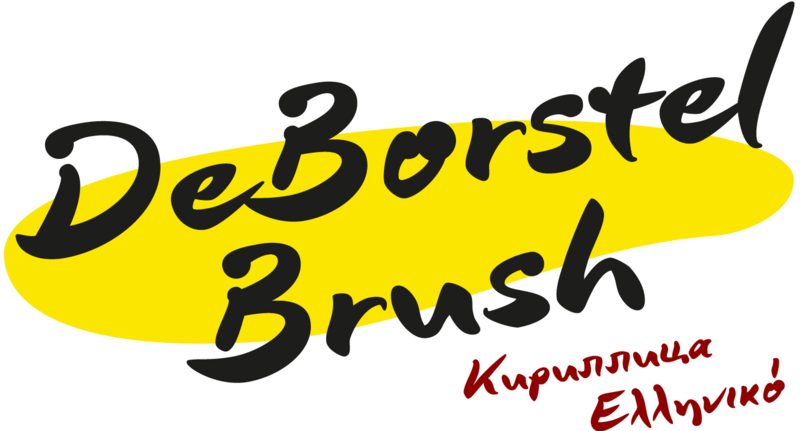 The strange name of this font means nothing other than ”brush,“ but only the Dutch understand it. 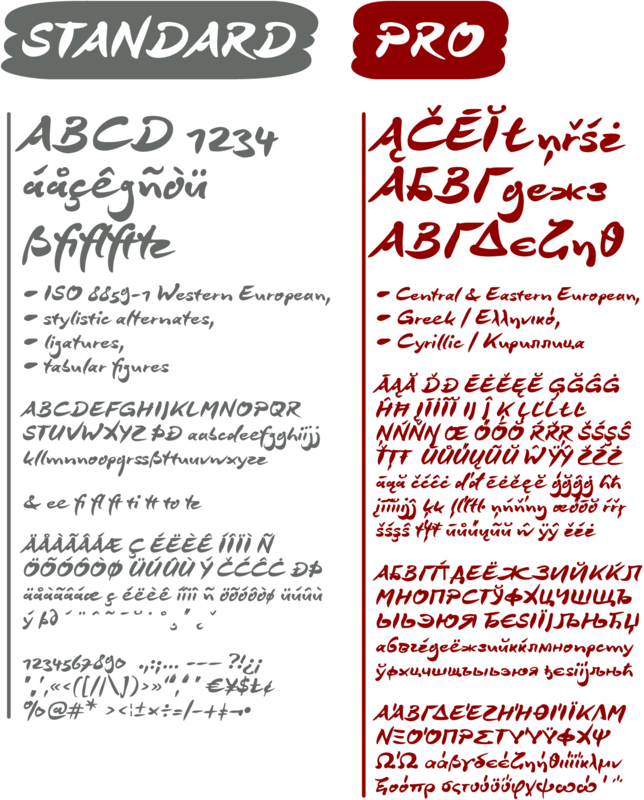 The typeface is spirited, amusing and flashy. 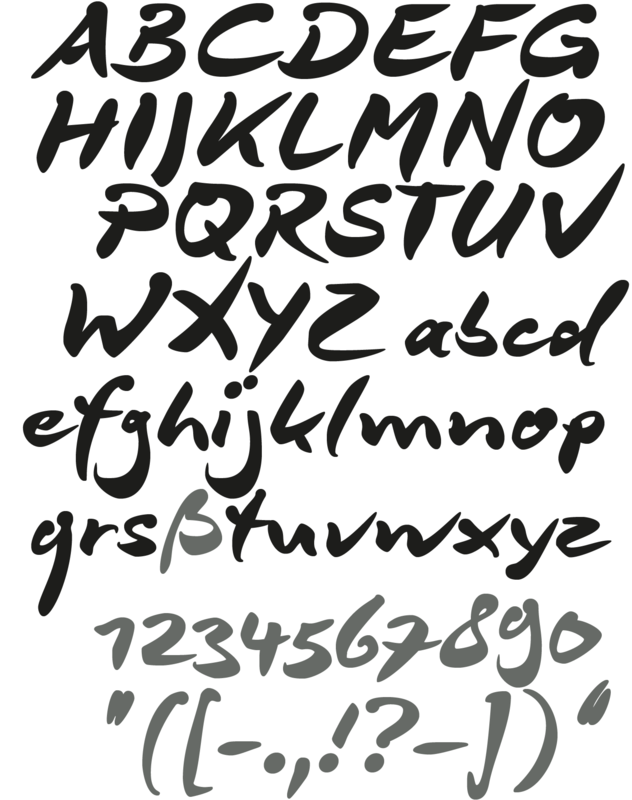 I made the handwritten original of DeBorstel Brush quickly and without interruption with a pointed brush. 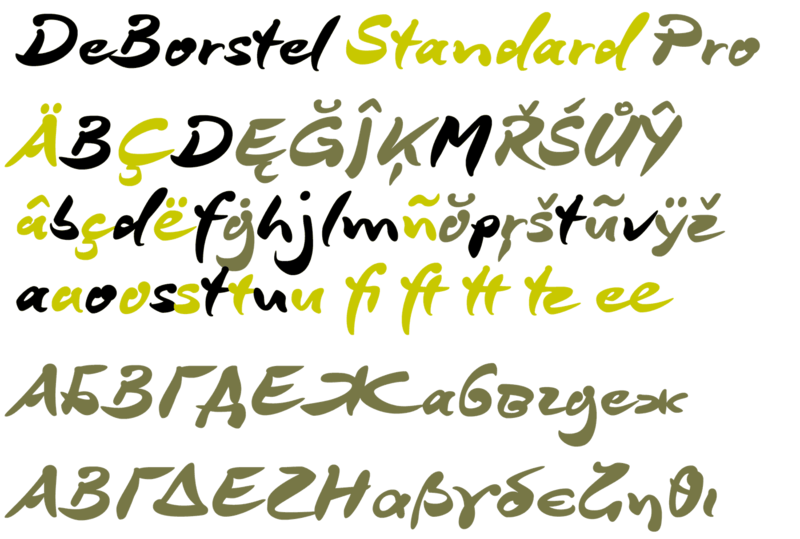 In the capitals, DeBorstel Brush appears to be almost too balanced for handwriting. In contrast, the lower case letters are intentionally very individual and uneven. A bit more life is added to the typeface with ligatures activatedwhich are constructed with alternative letter forms — and as a result, a number of problematic letter-combinations are improved. And if this typeface is still not lively enough for you, the additional alternative character forms a e g i j l n o s t u z are available with the Open Type-Function ”Discretional Ligatures“. 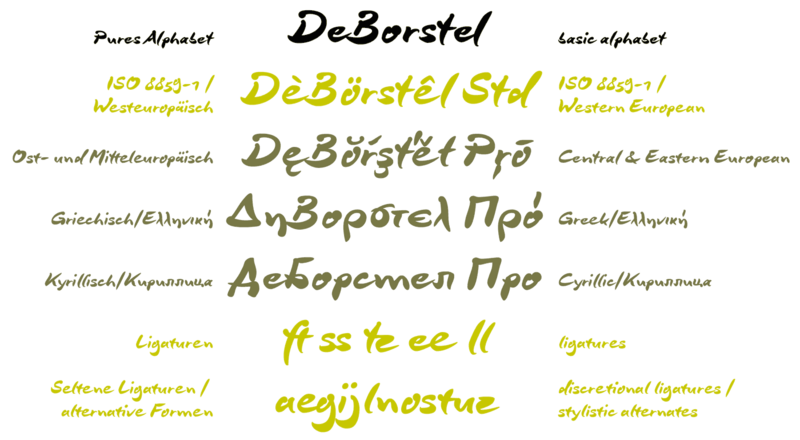 DeBorstel Brush is suitable for all European languages. 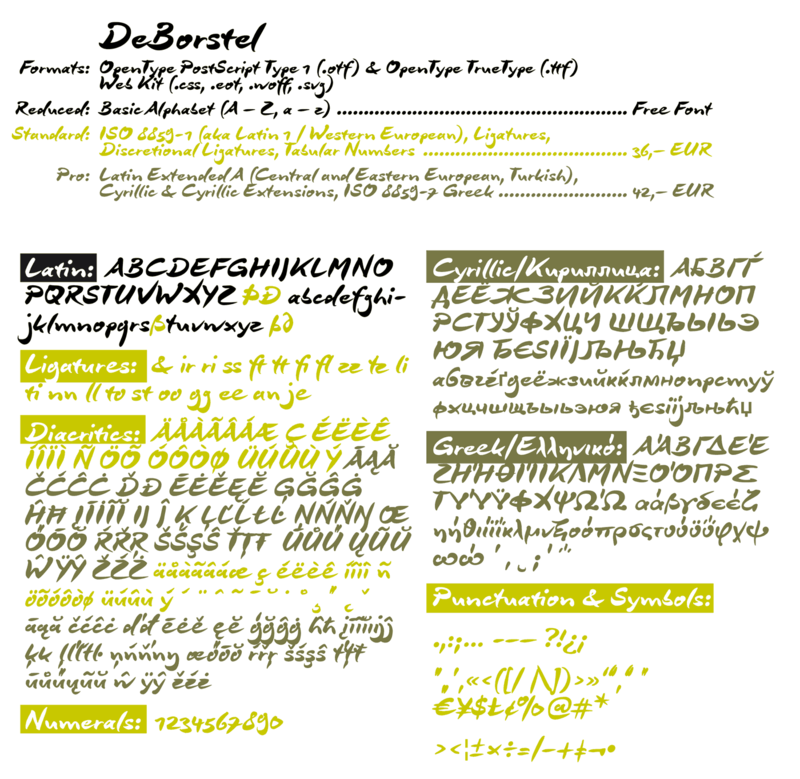 The DeBorstel Brush Std includes the symbols of the Unicode-groups ”Basic Latin“ and ”ISO 8859-1“ respectively ”Latin 1“ for Western Europe, DeBorstel Brush Pro includes ”Latin Extended-A,“ for Central and Eastern Europe incl. 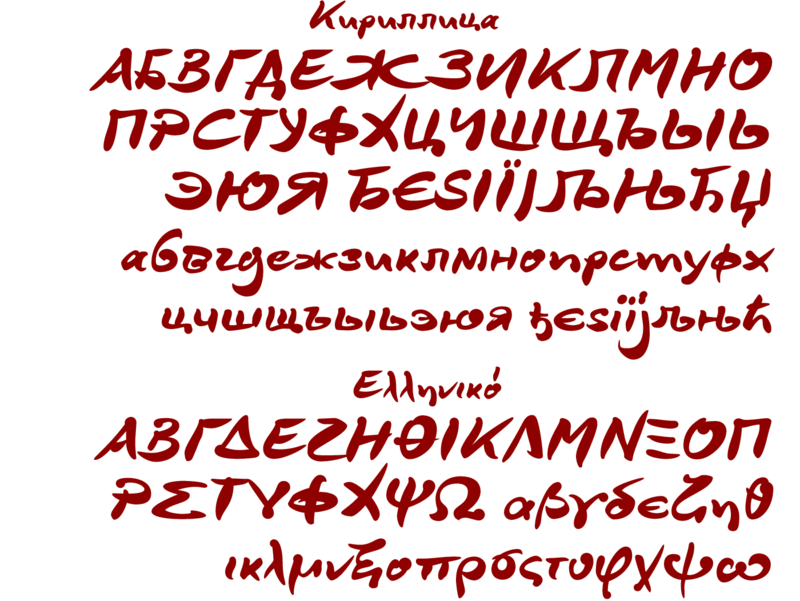 Turkish, and even Cyrillic and Greek, too. 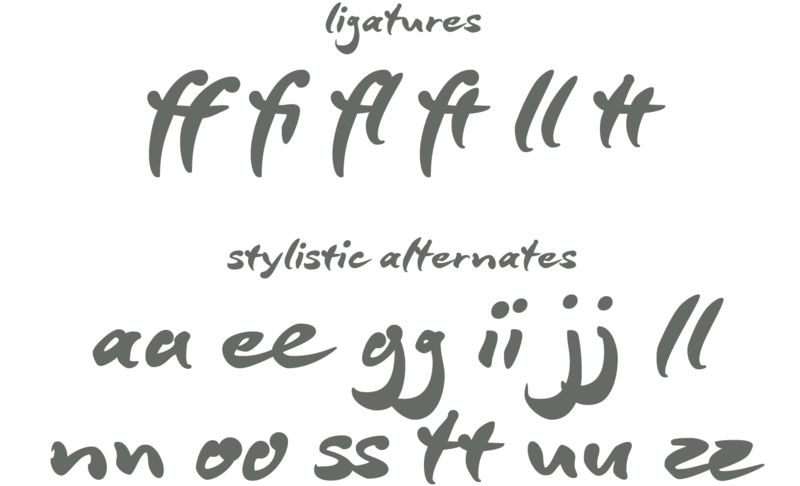 Alternative forms and ligatures can be switched on and off with the help of OpenType-Functions.